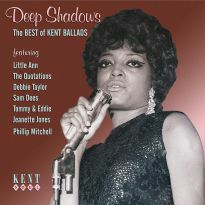 The complete recordings of this enigmatic San Francisco singer. Jeanette Jones is an enigma. Hers is a full-blooded voice overflowing with unbridled emotion. The passion leaps from the grooves. On record, Jeanette mostly sang for the Lord. 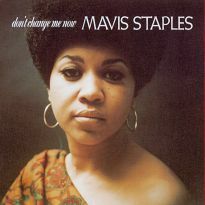 But she made a handful of attempts at a mainstream career: lost gems that demonstrate a singer fully in control. 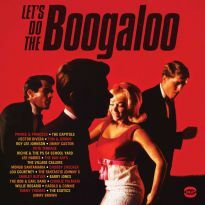 There was a lone single released in 1969, while other, originally unissued, tracks have featured on various BGP and Kent compilations over the years. Now that Ace owns the Golden State Recorders catalogue, it makes sense to bring all the Jeanette Jones masters together to showcase the talent of this fine and soulful singer. Jeanette, however, remains a mysterious figure, with few clues as to who she was, where she came from, or where she might have ended up. 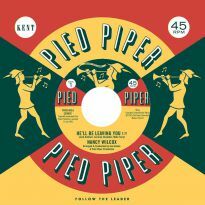 Leo Kulka, owner and operator of premier San Francisco facility Golden State Recorders, first came across Jeanette when she was a featured vocalist with the local Voices Of Victory gospel choir. Formed in 1962 by Cora Wilson, the choir was 60 singers strong and boasted its own bus, useful for attending gospel conventions throughout the West Coast. 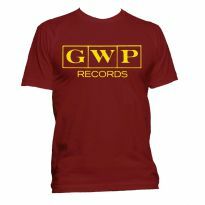 In November 1965, Wilson used Golden State’s custom record service to press up a limited number of LPs for distribution at performances. Always on the lookout for talent, Kulka not only attempted to get the choir’s recordings released on a bigger label, but also made a note of Jeanette’s remarkable voice, and resolved to sign her. Like many in the gospel world, Jeanette initially resisted Kulka’s entreaties to sing secular material, but by late 1967 she had changed her mind. A Palo Alto-based banker, Jay Barrett, was now her manager. 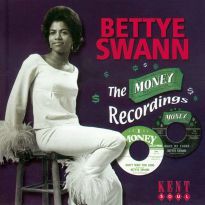 Fancying himself a songwriter, Barrett worked out a deal where he co-financed a demo on Jeanette, if his tunes were those that got recorded. With her under contract to Golden State, Kulka readily agreed, and hired a large ensemble for the session in February 1968. 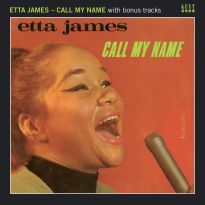 Barrett’s material was mostly in a dated pop mode, but the accompanying background singers, who included local soul notable Ramona King and her brother Cleo, added some much-needed R&B polish to the proceedings. Even though Jeanette turned in solid performances on tunes such as ‘Jealous Moon’ and ‘Quittin’ The Blues’, everything remained in the can, as Kulka failed to stimulate any interest in the sides. His next move was to consult with his associate Larry Goldberg, a Los Angeles-based indie producer whose speciality was selling acts to labels and pocketing the “front” for himself. Goldberg provided Golden State with several backing tracks he had cut, and Jeanette overdubbed vocals onto three selections in October 1968. 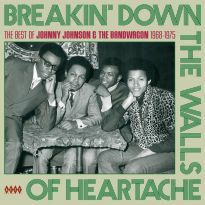 The result was a trio of powerful pop-soul gems in ‘Break Someone Else’s Heart’, the H.B. Barnum-arranged ‘Cut Loose’ and a cover of Ruby Winters’ recent ‘I Want Action’. However, the material was shopped with no success. 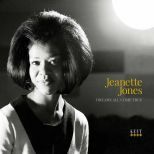 Jeanette was still fronting the Voices Of Victory, and the choir returned to Golden State in the spring of 1969 to make further recordings. 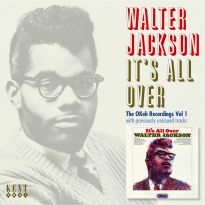 Hanging around for the sessions was itinerant R&B singer/songwriter Wally Cox who, at Kulka’s prompting, devised a more appropriate showcase for Jeanette’s talents in the shape of ‘Darling, I’m Standing By You’, a bold, brassy waltz with the singer testifying for all she was worth. 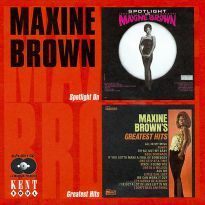 Cox wrote and arranged two further items, taped in March 1969: the frantic groove of ‘I’m Glad I Got Over You’ and a mid-tempo ballad in a more contemporary vein, ‘The Thought Of You’. 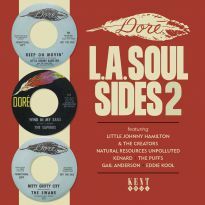 Leo Kulka was excited enough by these new tunes to issue ‘Darling…’ and ‘The Thought Of You’ on his Golden Soul label. 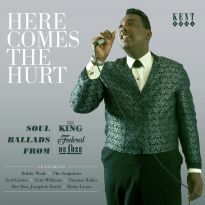 The idea was to garner enough airplay on gospel and R&B stations to get the record picked up by a label with national distribution, in much the same fashion as the recent Bay Area smash ‘Oh Happy Day’. 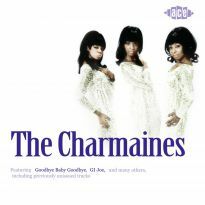 The single didn’t sell out of its 1000 copy pressing, but Kulka used it to pitch Jeanette to bigger outfits, including Motown and Atlantic. 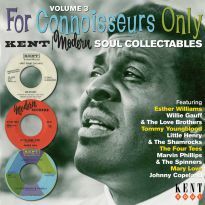 Over a year later, venerable Los Angeles operation Kent/Modern made a deal to release some of Kulka’s R&B recordings, including Jeanette’s disc. This second issue came out on Kent; correspondence in the Golden State Recorders files indicates a frustrated Kulka was unable to get Modern to seriously work the record, and thus it died. Jeanette was doing session work, and made a contribution to Mike Bloomfield’s surreptitious Mill Valley Bunch project. She also became the voice of a Swiss Colony Wine radio campaign aimed at the black market, while her striking looks garnered some modelling assignments. Yet, she does not appear to have been driven to pursue a singing career. 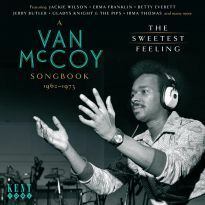 Her final documented Golden State session came via Bloomfield cohort Barry Goldberg, for whom she sang on a publishing demo in 1974. The pulsing funk of ‘You’d Be Good For Me’ and the heartworn ballad ‘What Have You Got To Gain By Losing Me’ indicate this artist of tremendous promise was being left to languish. After that, the trail runs cold. When discussing Jeanette, Leo Kulka often lamented that he had been unable to make her more successful. But he remained proud of the recordings he had a hand in, and this album shows exactly why.